For over 25 years, Stewart Water Pumps have been the #1 choice of professional engine builders. 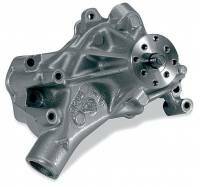 Selecting the correct water pump for your race car is critical to keeping it cool. 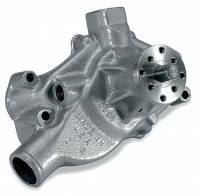 Pit Stop USA carries a great selection of aluminum water pumps that increase cooling and reduce weight over cast iron pumps. 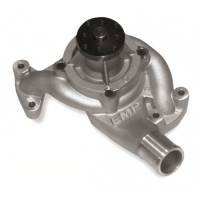 Check out the Recently Listed Water Pumps - Electric. Check out the Recently Listed Water Pumps - Mechanical. Pit Stop USA is The Online Motorsports Superstore! For over 25 years, Stewart Components has been a recognized leader in high-flow cooling system technology, and is currently developing the next generation of high efficiency advanced mechanical and electric water pumps and cooling system components. Stewart Components combines engineering expertise and advanced product development to bring forth innovative solutions. 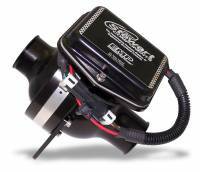 Stewart water pumps are the #1 choice of professional engine builders, race teams and performance enthusiasts, from street rodding and OEM replacement applications, to the most extreme forms of motorsports in the world. 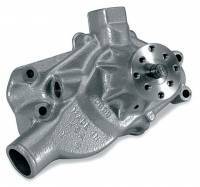 Stewart Stage 1 water pumps use brand new, original equipment castings that are machined to our exacting standards. 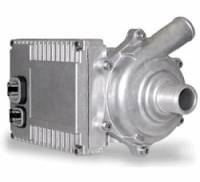 Stewart Stage 1 pumps are compatible with stock lines and brackets but are internally modified for performance and reliability. 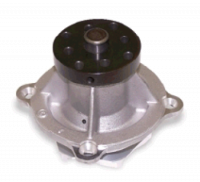 Stewart Stage 2 water pumps are assembled using the exclusive 356-T6 heat treated aluminum casting. 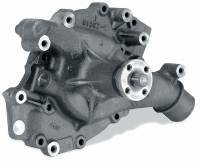 These pumps include several significant performance modifications for maximum performance. 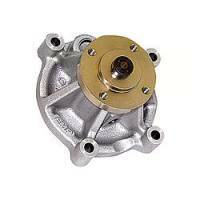 Stewart Stage 3 water pumps are assembled using the exclusive Stewart 356-T6 heat treated aluminum casting. 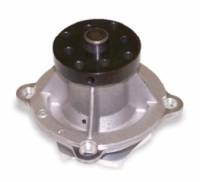 These pumps feature a 1/2a billet steel fan hub that is strongly recommended for high RPM applications. 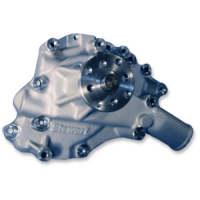 Stewart Stage 4 water pumps are the cutting edge in performance water pump technology. 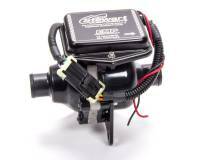 This pump utilizes the Stewart Components DRV-8 impeller, which is fully CNC machined from 6061-T6 billet aluminum. 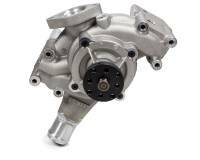 Its special design flows up to 160 GPM, while consuming over 2 horsepower at 4,500 RPM - the ULTIMATE water pump for your racing application! Stewart High Flow Thermostats are manufactured by Robert Shaw and modified by Stewart and feature a balanced sleeve design for high flow, high RPM applications and must be used with Stewart Stage 2, 3 or 4 water pumps. 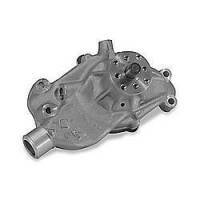 We feature Stewart Components water pumps at low everyday prices!